Contractors Best Insurance Services Inc.
“As incoming president, I am excited about the opportunity to continue the impact our chapter is making by bringing awareness to the industry, educating women for success and funding scholarships for the next generation of women choosing to enter the construction industry.” Twenty years of working closely with contractors in the public works sector gained Shilo her in-depth understanding of the limitations of small to midsize contractors. This knowledge enhances her ability to guide her clients on their road to exponential growth. Through hard work and passion for her clients, she acquired her firm, which specializes in insurance and surety bonds for GCs. She genuinely cares about their success and well-being, and helps them achieve their goals by offering solutions tailored specifically to their personal and company needs. 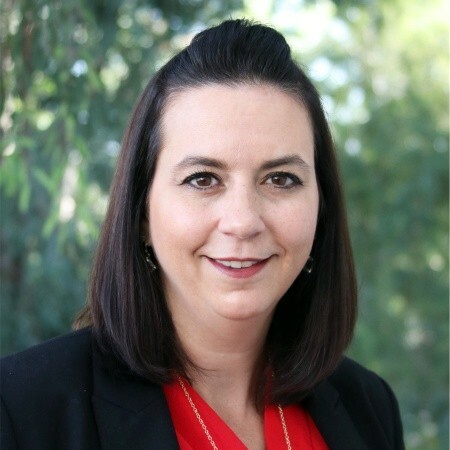 Shilo holds a BA in Business Management from CSUN, and has previously served on the NAWIC board as Secretary, Treasurer, Vice-President and incoming President. I am humbled to have been chosen to follow in Priscilla Chavez’s footsteps but honored to be doing it with this amazing board. Our strength is in our diversity, our ability to listen & our ability to implement. Thank you for your confidence in my growing leadership power. I have been passionate about this organization from the first day I stepped foot into the first meeting, despite the ambiance of that meeting. Starry eyed & hopeful I sat in that dim room. I firmly believed that if you see a need; you need to fill the gap & be the change. I have 2 young daughters & I wanted them to know that anything was possible. I wanted to show them they can forge ahead & create their own paths even if it wasn’t the road most traveled. As I look back at our chapter 3 years ago and I vividly recall that we were at a cross roads. We were small in number but mighty in conviction. Our passionate board was voted in & we took off at a run. We wanted NAWIC LA to be known & to have impact on that road less traveled. Working hard to build the foundation for what we wanted this Chapter to be. We planted the seeds for the coming years. We modified the template being used & we tested new ideas; some good, some that needed work. We focused on our own superpowers so that we might be the most effective in reaching our common goal. Last year we focused on Challenges Women Face in Today’s Workplace. We worked diligently to put together panels & speakers focused on strong women that were able to push ahead, who offered valuable tips on how we may follow in their footsteps. It was important to show that there were women that have been successful that have taken many paths to get there. We needed to highlight that it was possible & attainable. We also recognized that this was not our mission alone. We are working hard to leverage other women’s organizations to collaborate & build strength together. These last 2 years at each event we kept hearing questions on how to overcome common challenges (I might add that they were my questions too) & we recognized that we need to help provide focus on skills that would help us be stronger leaders. This year I am excited that we have an amazing line up dedicated to hone the skills for the Power of You. Our dedicated committees have put together upcoming events that enhance the Power of You like Negotiating, Communication Styles, Public Speaking (I’m really looking forward to that one), Leadership Tools, Our Emotional Quotient & so much more. We want to build women up, provide a safe space to bounce ideas & thoughts off of, but most of all to grow together. This will be another dynamic year to be a member of NAWIC Los Angeles!